Property 1: Beautiful stone house with garden and private pool. Casa Scoiattolo A: A cozy and welcoming apartment surrounded by meadows and by green hills, with Free WI-FI. 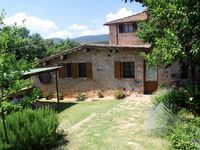 Property 6: Casa Scoiattolo A: A cozy and welcoming apartment surrounded by meadows and by green hills, with Free WI-FI. Property 27: Private Tuscan Country House with Large Garden in the Natural Park "Alta Merse"
Property 33: Villa Saveria I: A graceful apartment surrounded by the greenery. Beautiful, elegant and fabulous location! Perfect! Loved our Stay! This gorgeous condo in the heart of Siena was our favorite stay out of seven hotels and HomeAway selections over our three week trip to Italy. 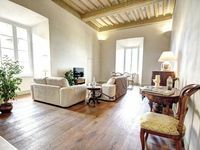 The Historic apartment, located in a Medieval tower, has been beautifuly restored and modernized with a fabulous decor. Andrea met us on schedule, brought our luggage up, greeted us with Prosecco and breakfast items. The views are jaw dropping from every window. Immaculately clean, spacious, comfortable elegant furnishings, lovely modern baths. The kitchen is fit for any gourmet chef and supplied everything including beautiful cookware and dishes. The apartment exceeded our expectations and is even better than the photos! It is a place to settle into and enjoy Tuscany from. We will return! We so enjoyed our stay at Casabella and would definitely like to return. The little &quot;villa&quot; was very adequate for four people and contained everything we needed for our stay. Our hosts were helpful and thoughtful in many ways. The location is perfect for exploring Tuscany and provided a wonderful experience.